IDTL Network School Karalee State School was the highest scoring primary school team at the 2017 Kids Lit Quiz event and came thrid overall. This event was held on Thursday 9 March at Ipswich Junior Grammar School. The competition was very close with two Indoorooplilly State High School teams taking out first and second place. They are off to Sydney 18 March to take part in the Australian Final and the winner will go from there to Canada for the World Finals in July. Kids Lit Quiz creator Wayne Mills said the students performed very well at the heat. 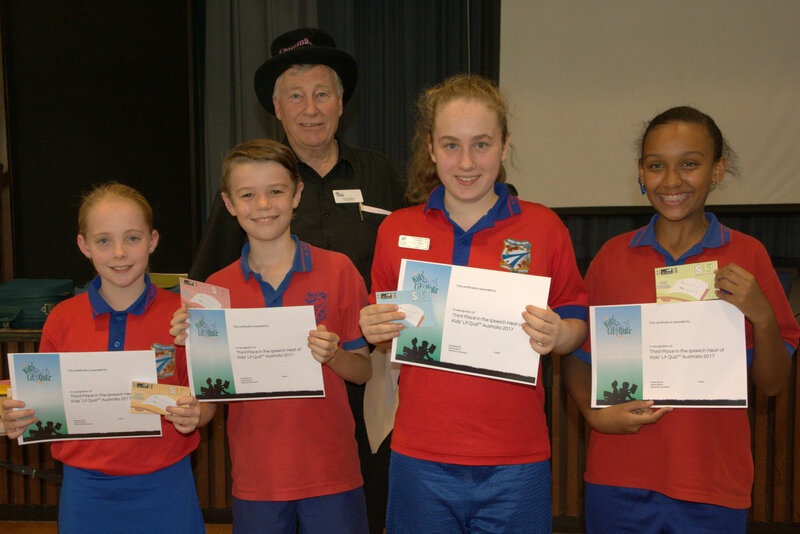 A team of authors Aleesah Darlison, Allison Rushby, Julie Fison and Pamela Rushby competed agianst the students teams and had the highest score. Teams who came second and third received book vounchers which they exchanged for books at A Lot of Books' pop-up shop. The winning teams from each round won books and ten adults also had the opportunity to win some book prizes. Team members also competed for spot cash prizes in between rounds answer questions for the 2016 World Final.